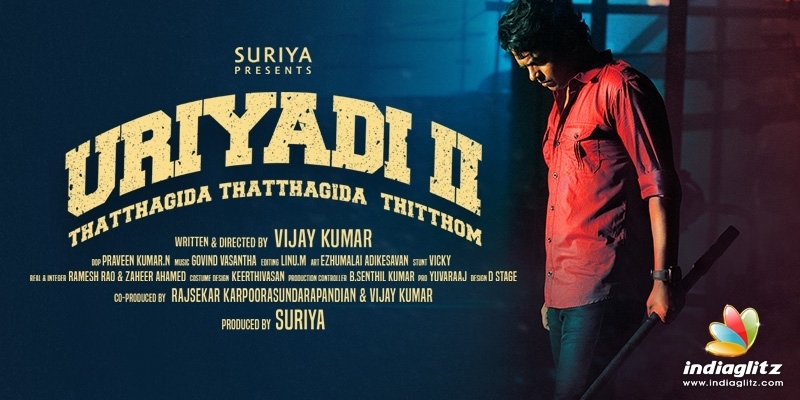 3 years after delivering the critically acclaimed hard-hitting political thriller Uriyadi, director/actor Vijay Kumar returns with the soul sequel to the movie, yet again touching a social theme and delivering a relevant message on politics, in Uriyadi 2. Let's see what this sequel has to offer. 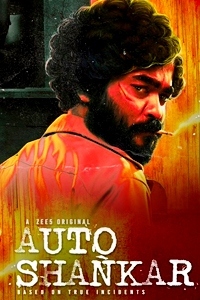 Set in Senkathirmalai, the film begins with the establishment of the characters of Raj Prakash, a businessman who owns Paksino, a factory that runs on hazardous substances including MIC (Methyl Isocyanate), Thamizh Kumaran, a ruling party member who's on Raj Prakash's side, and Sengai Kumaran, a casteist leader who waits for an opportunity to exploit and gain political mileage. Enter Lenin Vijay (Vijay Kumar) and his friends who join Paksino, and get to witness the horrors caused by the toxic MIC. As their whole town faces lots of deaths, Lenin decides to rise against the evil trio Raj Prakash, Thamizh Kumaran and Sengai Kumaran. Whether he succeeded in his mission is what Uriyadi 2 is all about. Vijay Kumar as Lenin Vijay depicts the social anger of a youngster perfectly, without cinematic exaggerations and fits in with his boy next door looks and natural act. 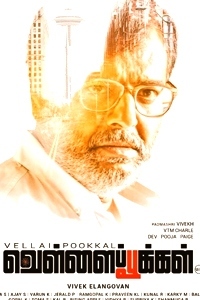 Sudhakar of Parithabangal fame gets a good scope to prove his histrionics and has utilised the opportunity perfectly. Debutant Vismaya gets to emote well within the limited scope her character gets. The actor who has played Sengai Kumaran is subtly menacing and is aptly cast as the opportunistic casteist leader. The other actors who've played Raj Prakash and Thamizh Kumaran are adequate. The first half of the movie begins on a leisurely note, as there are several unwarranted episodes post the establishment of the evil trio, with some love episodes and a song. 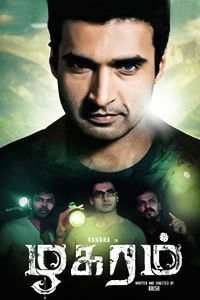 However, after a major incident close to the interval, the movie gains momentum, with the tension built well in the interval block. The second half realistically portrays the travails underwent by the people of the town who are impacted by the toxic leak, and these episodes are sure to haunt audience. The happening second half culminates with a riveting, action-packed episode, that works well. Govind Vasantha's background score is pulsating, and of the songs, Iraiva makes an impact. Cinematography by Praveen Kumar captures the horrors of the killer factory to perfection, and editing by Linu keeps the audience engaged. Director Vijay Kumar has yet again touched a much-needed theme, and backed by actor/ producer Suriya, delivers an interesting flick. 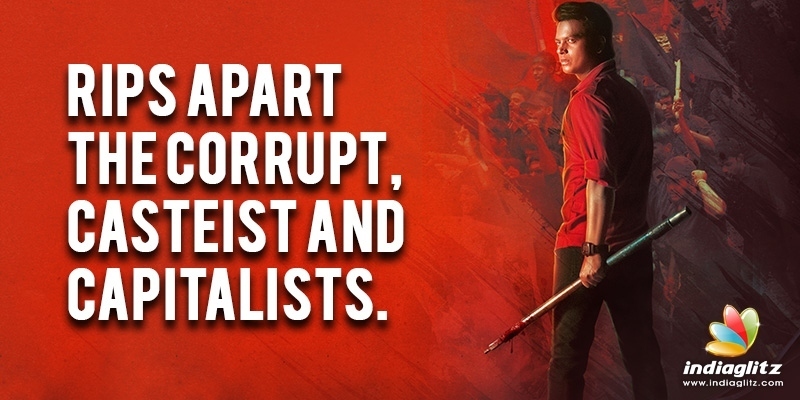 This time around, Vijay has presented his anger against corrupt politics, exploitative caste system and the capitalism that controls and gains using both. The director takes his own sweet time to get into the conflict point, but once the movie reaches the pre-interval episode, it takes off. The impacts of the toxic leak are depicted in a shocking, disturbingly realistic manner, and the impact of these episodes are sure to stay in our minds for some time. Positives apart, the movie has several drawbacks as well, like the forced romantic track, and extremely rushed ending with a simplistic solution that inclines towards violence more than public entering politics. 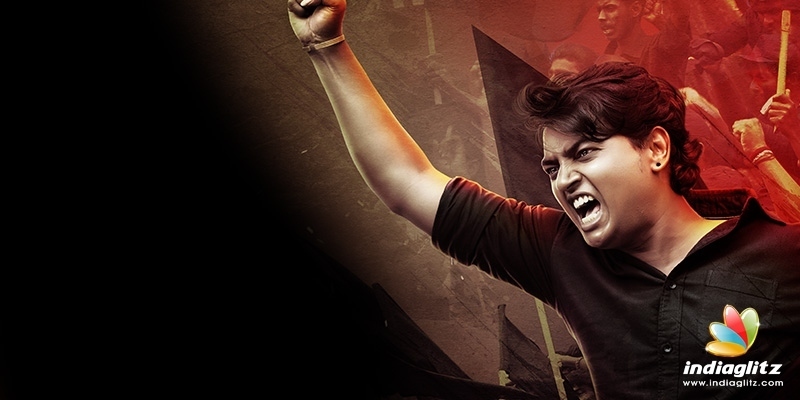 The alarming message driven by Uriyadi 2 is much needed at the moment, as Vijay Kumar has inculcated the Sterlite effects in a fairly engaging screenplay, and with some sharp dialogues, interesting scenes and a crisp 2 hours runtime, the movie is sure to appeal to a wider section of the audience than Uriyadi. Kudos to Vijay Kumar for the honesty and reflection of his social responsibility in the film, and producer Suriya for backing a small flick with an important message and delivering it to a large audience. Verdict: Rips apart the corrupt, casteist and capitalists.